Online shopping is so popular that many of us probably cannot imagine life without it. It can be difficult to determine the exact shade of a dress looking solely at a computer screen, and footwear sizes may vary depending on the seller. Customers may also wish to return items that don’t match their website description or arrive damaged. Clothing, footwear and electrical goods are among the most frequently returned items and the post-Christmas period seems to be one of the busiest for returns. An online parcel service ParcelHero found that online returns accounted for as much as 47% of all their shipments in the first few days of 2018 – the majority occurred due to faulty items. Receiving a product that doesn’t meet our expectations or arrives broken can be disappointing and lack of clear returns instructions will only increase the initial frustration. 1. Always provide customers with clear returns instructions by inserting relevant information inside your pack or referring customers to the returns policy on your website. 2. Use packaging that can be easily reused for returns. This saves customers the hassle of finding alternative packaging and helps ensure your package is safely sent back to you. 3. Include a second seal strip to reinforce parcel security and prevent it from opening in transit, minimising the risk of damage. At Macfarlane Packaging, we will work closely with you to ensure the packaging you use is returns-ready. Get in touch today to speak with one of our packaging experts. 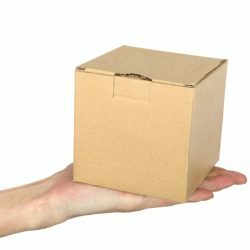 We can offer you a free, no-obligation packaging review.